I have only just graduated from Plymouth University. I am now enrolled on the MSc Mining Geology degree at Camborne School of Mines, Exeter University. There isn’t anything that I would do differently; however, I would suggest that students make the most of the societies that Plymouth University has to offer. It allows you to socialise with students who have similar interests, but who are studying different courses at the University. It also keeps you fit whilst breaking up your studies. I decided to study at Plymouth University because it has one of the only applied focused geology courses in the United Kingdom. This was significant as I have always had aspirations of going into the mining or petroleum industry after graduation. The final year of the course also gives you the opportunity to study petroleum geoscience, mineral georesources, or engineering geology which, as far as I know, is unique to the applied geology course at Plymouth. Being able to study two of these options in your final year gives you an insight into what each industry entails and gives a brief context of the academic nature of each; this allows for an educated decision into which career path you would like to pursue. With this additional knowledge, it gives you an advantage when applying for further education or a career. Personally, I have always wanted to go into the petroleum industry; however, this insight broadened my options, making me realise that I was more suited to mining geology. Initially, in my first year, I attended the PALS sessions which allowed me to learn from students who were in their second and third years. I found this very useful as I was adjusting to the academic level at university. Throughout my studies I used the 24 hour access to the Fitzroy labs. This became specifically useful when revising for practical assessments as the technicians can give you access to all the resources that you need. Also, the Fitzroy computer room has advanced industry level software, which enhanced my level of learning and quality of work and provided a good level of understanding of how to use the software which employers are looking out for on CVs. The library provided a range of books which were specifically useful during the second year and has hardware such as the A0 printers which were useful throughout my studies. Additionally, the Primo services enabled access to useful papers for all levels of study and during my dissertation project. As previously mentioned, my aspirations have always been focused on going into industry, specifically the petroleum industry; however, the unique nature of the course gave me an insight into a variety of industries related to geology (mining, petroleum, and engineering). Due to this, I realised that my skillset and desires were more suited to the mining industry. Therefore, I diverted my plans to pursue a path which I hope will give me the best opportunity to follow my new aspirations in the mining industry. My favourite memory has to be during fieldwork. Throughout the three years I went on fieldtrips to the Spanish Pyrenees, Arctic Norway, and Death Valley, California. Arctic Norway has to be my favourite, though; it was my dissertation trip, and there were five of us in total living in a very remote wooden hut just outside the town Ballangen. I spent 30 days mapping and studying the area. There was no running water (we had to drink from, and bathe in, glacial melt water for just short of two months) and no lighting (although there was 24-hours daylight). Although it was hard work, there are so many amazing memories and experiences from this trip including the amazing geology the location had to offer, seeing wild arctic animals such as moose and reindeer, and experiencing new cultures throughout the five day drive from Plymouth to Ballangen (through France, Belgium, Netherlands, Germany, Denmark, Sweden, and Norway). Plymouth has provided the aforementioned academic experiences towards industry. However, it has also provided me with the opportunity to conduct fieldwork in remote areas of the world. As I would like to go into mining geology, specifically the exploration sector, the course has provided me with the skills and experience to work in remote climates, which my career path is likely to entail. I would highly recommend taking the course at Plymouth University because there are high level academics who provide quality education. The course gives you the opportunities to work in challenging and testing environments in geologically renowned locations across the globe, allowing you to visually comprehend the theories you learn in lectures and practicals. The experience that you gain from the course enables you to further your education at internationally renowned universities (in my case, Camborne School of Mines) and industry. 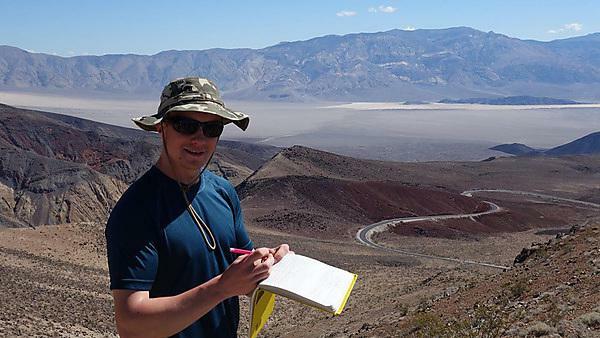 For more information about studying applied geology, please visit our BSc (Hons) Applied Geology page. For more information about our range of courses within the School of Geography, Earth and Environmental Sciences, please visit the school page.